Japan 2017: Pre-planning + P40,000 All-in expense for 7 days. – Dreia-lity bites. In order to obtain a Japan visa, you have to submit your requirements to an accredited agency. For the list of agencies, you can check it here. In our case, we went to Rajah Travel Corporation. They have a branch in Makati and Manila. Visa processing costs P1500. And the turnaround time is 3-5 business days. Tip: Pay for the visa processing fee during Travel Expo. Agencies offer a discounted price. We paid P450 for the visa processing. Tip: If you really want to go to Japan, decide early if you want to go on multiple cities or focus on one area only. This will give you a non-hassle booking experience. Regarding baggages, I don’t normally give much importance to adding a baggage. Often I would pick the smallest baggage allowance. So when I booked the MNL to JPN flight, I only alloted 20kg for my mom, sister and I. And 15kg for my 3 friends. With teamwork and strategic planning, we were able to fit everything in the allotted baggage allowance. Thanks to the 7kg hand carry allowance! Yay! There are plenty of accommodation to choose from in Japan. There are hotels, capsule hostels and AirBnB rooms. Choose depending on the people you are with. In my case, I was with my mom and so I opted for an entire room in AirBnb. But if I were alone or with a friend, maybe I’d try the capsule hostels. Anyway, it was my first time to try AirBnB. I usually book through Agoda or Booking.com. I was happy with my experience with AirBnB. There were many options and you can get to chat with the host of the place. I will create a separate entry for the two AirBnBs that we rented. Initially, we booked 1 night in Tokyo and 3 nights in Osaka. But after we booked our roundtrip ticket, we adjusted it to 2 nights in Tokyo and 3 nights in Osaka. I wanted to book ryokan (ancient type of house in Japan) in Kyoto, but I realized it would be hassle to transfer from one place to another with our luggages. Tip: Book a place near the subway and probably near the tourist sites. Example: Shibuya, Shinjuku, Asakusa. Book a place depending on your itinerary. In Tokyo, I booked a room in Shibuya. It was walking distance from Shibuya Crossing and there were convenience stores, restaurants and shopping centers around. In Osaka, our main agenda was to visit USJ and to explore Dotonbori. So we booked a room near Dotonbori. I find our accommodation cheap for our entire stay in Japan. Note: Check in time is usually 3PM. There are 3 ways to get to Osaka from Tokyo. Since I wanted this trip to be as cheap as possible, I considered a sleeper bus. Why? You get to save 1 night of accommodation. The only catch is, travel time is 9-10 hours. But if you’ll think about it, you wouldn’t even notice the time because you are sleeping. I actually slept the entire bus ride. I checked two websites for the buses. The more famous one is the Willer Express Company and the other one is Kosoku Bus, which is a group of Japanese highway bus managed by Keio Bus. From several options, I narrowed down my choices based on my preferences: must be a sleeper bus with a comfort room and reclining seat. Finally, I found Eagle Bus. It has 3 seats in one row separated by aisles. We also have our own curtain for privacy. There was also an outlet for charger and an overhead bin for our handcarry bags. We departed from Shinjuku Expressway Bus terminal at 10:10PM and arrived at Osaka 7:30AM. If Universal Studios is one of the reasons you want to go to Japan make sure you book a ticket beforehand. This will save you a lot of time from queueing. Though, even if you have a ticket you still have to go there early because there is a line going inside the amusement park. I booked our USJ admission ticket via Klook, my ever trusted travel app. Despite being advised of buying two tickets: Admission ticket and Express pass, I only bought the admission ticket. I am not an amusement park enthusiast. I don’t ride rollercoasters. I don’t see myself riding all the rides in USJ. Basically my main purpose in visiting USJ was the Wizarding World of Harry Potter. So, with that in mind, I did not buy an Express Pass. Tip: If you like rides and you want to try as many rides as you can, you should buy an Express Pass, especially if your visit will fall on weekends or holidays. During our stay in USJ, we went to WWOHP, rode Jaws and Jurassic Park – The Ride and my sister and friends tried the Flying Dinosaur. Because I was a user of Klook since December 2016, I was able to earn quite a number of credits and promo codes, so when we booked our USJ tickets, we used those. Plus, I took advantage of Klook’s summer promo where I got P1,500 off. In this digital era, I cannot imagine myself not having an internet. For my past travels, I would rely mostly on free wi-fi or as ask people for directions if I get lost. But I really want to be prepared for our Japan trip. There’s no room for us to get lost. So I booked us a wi-fi router so that as soon as we get to Japan we can easily navigate around and use the internet if ever we need to. We booked our wi-fi router through Flytpack. It was delivered to us 2 days before our departure. Another option would be 3G/4G sim cards you can purchase through Klook or in Japan airports. Our Flytpack router also acts as a powerbank, which was helpful because I don’t have a powerbank. Also, it was fast even if there were 5 of us connected to it. It has a limit of 1GB per day. One router costs P1,960 but there is a deposit of P2,800, which will be refunded once we return the unit. The travel tax was excluded from the P18,000 pocket money. We paid P1,620/person at the airport. Next, I allotted a daily food allowance, which was 1,750JPY or P780. Was it enough? Yes, it was more than enough for me. I did not starve myself. I actually ate a lot in Japan. Most food in the convenience stores are around 150JPY to 500JPY. And the restaurants we have eaten, we’ve normally pay less than a thousand yen. Another one I considered was the transportation budget. We took advantage of the 1 day passes because it offers unlimited subway rides. Also, we wanted to experience the bullet train. It was quite expensive, but we made it part of our budget. I also considered possible entrance fees at other tourist sites that we will visit, especially in Kyoto. I read that there were some temples that has admission fee. To be safe, I allotted 2,000 JPY. Of course I also had to set a budget for my souvenirs which was 5,500 JPY or 2,475 PHP. Note: The allocation of the pocket money didn’t go exactly as planned. Like, there were times I only spent 1500 JPY for food. And we didn’t pay 2,000 JPY for entrance fees. This was my anticipated budget allocation before our trip. The important thing is I did not exceed my limit of 40,000 JPY. Note: You can spend less than 40,000 PhP if you can get a lower airfare and if you will not take the bullet train. That’s it! Watch out for my next posts. I will share detailed information about the topics above. As well as our daily activities in Japan. 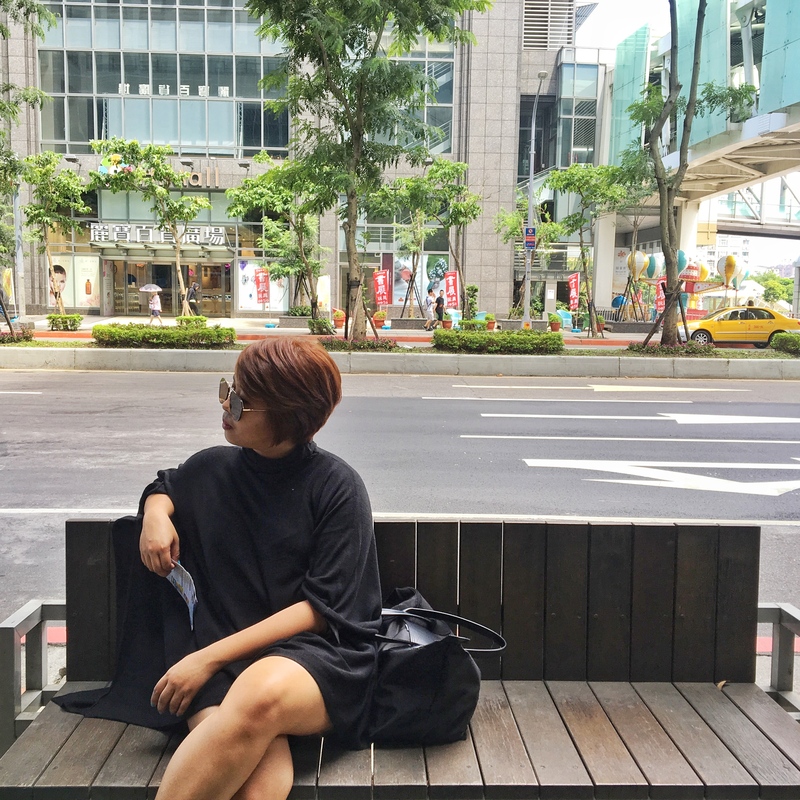 Pingback: 5 Things Traveling Has Taught Me – Dreia-lity bites. Hi! I just want to ask how much was in your bank account when you applied for the visa? Hi, I had 30k in my account. But I am under a guarantor (who is my mom). I still submitted my bank cert but they know that I am with my mom and she is there to cover for me financially. *If you have arrived 7:30 am through the sleeper bus from Tokyo to Osaka, did you check in on the hotel by that time or you left your luggage at a safekeeping service (is there anything like that there?)? I believe check in time for hotels/airbnb the earliest to be 2 pm..
*For the pass tickets on trains, I believe there were different trains/subways? which one should we purchase to go around inside the cities? Hopefully you’ll answer my questions. Hi Lalaine, sorry for getting back just now. And thanks for reading my blog. *Upon arriving at Osaka, we did not check in yet because our check-in time was 3pm. We stored our luggages first in the coin lockers. Then explored Osaka Castle and Dotonbori. Then went back to our luggages, then checked in around 4pm. *If you are not going to purchase a JR pass that’s perfectly fine. You can buy subway passes. In Osaka we bought one-day passes.